What better way to fight prostate cancer? To raise awareness for men’s health during the month of November, internationally recognized Movember and beloved Wigstock founder Lady Bunny are partnering with the iconic W Hollywood to host Movember’s first-ever fundraising Drag Queen Bingo Night. On Friday, November 9 from 8pm – 11pm at W Hollywood’s rooftop club The Loft, guests will have the opportunity to participate in an exclusive night of bingo hosted by Lady Bunny and other surprise guests to support a good cause. 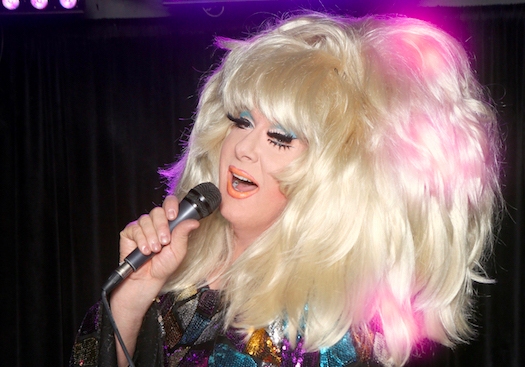 For $35, guests will receive a general admission seat, and for $55, a VIP seat to see Lady Bunny up close. In addition to entry, guests will have the chance to enter an auction for special prizes including an Equinox gift card and others. All proceeds will benefit Movember’s work in prostate cancer, testicular cancer, mental health and suicide prevention. Tickets can be purchased here. Attendees need to be 21+ and should plan to arrive on property at 7:30pm to ensure they’re ready for the show to start at 8pm.